External and internal louvers are a type of shutter with horizontal slats that are angled down and out, so that light and air can get in, but rain and harsh sunshine are kept out. First designed and used in the Middle Ages when glass was scarce and expensive, the design has since been highly refined to make the most of the concept and looks of the louver. Some designs are adjustable, meaning that you can turn the slats to let more light into your rooms in the morning or the late afternoon. Some are fixed, giving a strong and low maintenance look to your windows. Style: Effortlessly stylish, louvers compliment almost any external architecture or internal décor. Practicality: This shading is incredibly easy to clean and maintain, a quick wipe with a damp cloth is all that’s needed to keep them looking neat. Versatility: Louvers are available in a range of slat sizes, colours, materials and finishes, so whether you want to achieve a pared back look with a natural wood finish or have accent shading in a bright contract colour, there is a style to suit you. Air Flow: The tilting mechanism available with louvers allows cool air to flow in whilst keeping the sun out so you don’t have to turn on the air conditioner. At Blinds Central, we offer both internal and external louvers in Melbourne and surrounding areas. Our free measure and quote service gives you the opportunity to see just how affordable it can be to update the look of your home with high quality modern louvers. In some situations, your louvers could pay for themselves within just a few years; because they help keep the home warm in winter and cool in summer, you could reduce the amount you’re paying for electricity. You may be surprised at what’s possible with your property; whether you have a heritage Melbourne residence or a contemporary architectural home, louvers could look great! 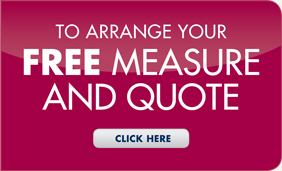 Arrange your free measure and quote now by calling 1300 881 714 and give your windows a touch of enduring elegance.